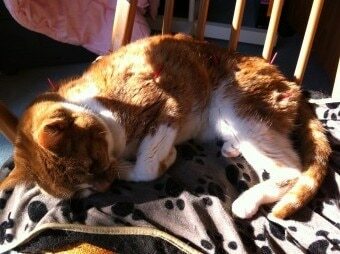 Most pets tolerate acupuncture very well and will often fall asleep during their treatment. Acupuncture uses the ancient art of placing needles into the body to stimulate a response that alleviates pain and increases healing. Only Veterinary Surgeons are allowed to practise acupuncture and it is a very safe treatment when performed in experienced hands. 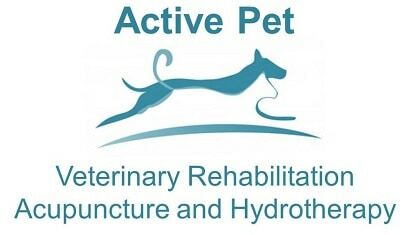 At Active Pet, which is located in Coleshill, between Beaconsfield and Amersham, acupuncture is predominantly used for the treatment of musculoskeletal disorders, such as arthritis and works particularly well where a condition has been present for a while and a chronic pain state may have developed. The effect seen when acupuncture is used is segmental and that means that there is a reduction of pain in the area where the needle is placed. Acupuncture also has an effect on the central nervous system and stimulates the release of pain relieving chemicals from the brain and spinal cord. These chemicals are then released into the blood stream and provide pain relief to the whole body as well as the site where the needles are placed. Acupuncture can be used in addition to orthodox medicine or when orthodox medicine fails to be effective. Acupuncture also works well for lick granulomas and can help them to heal much quicker. We often find that arthritic dogs and cats develop these lick granulomas as it is their way of trying to cope with the pain from their sore joints. Most dogs, cats and rabbits tolerate the placement of acupuncture needles very well and we often find that they drift off to sleep while they are having their treatment. A couple of our canine patients who have acupuncture are so relaxed that they go into a deep sleep and start snoring, much to the amusement of everyone! Acupuncture can be used in all animals and we are very happy to treat other small pets such as guinea pigs, ducks and chickens. If you would like more information on how acupuncture can help your pet then please call us or get in touch through the form on the contact page.